If your fluffy has gone from a happy-go-lucky fella to a lethargic, pooping and vomiting pooch, chances are that worms have infested him. You may want to live in denial, but most pets will have intestinal worms at some point in time. There is little you can do to prevent this situation. You can’t stop him from playing in the yard or sheepishly snacking on rotten roadside buffets and sometimes even poop. Yuck! OK, don’t throw up...it’s pretty normal to him. Worms can also pass from an infected mother to her puppies through feeding. Suffice it to say; dogs are quite susceptible to different kinds of worms that live in the soil or dog feces or various other sources. There are four types of suckers that can call your doggo’s intestines home and feed on his blood. These include roundworms, hookworms, whipworms, and tapeworms. 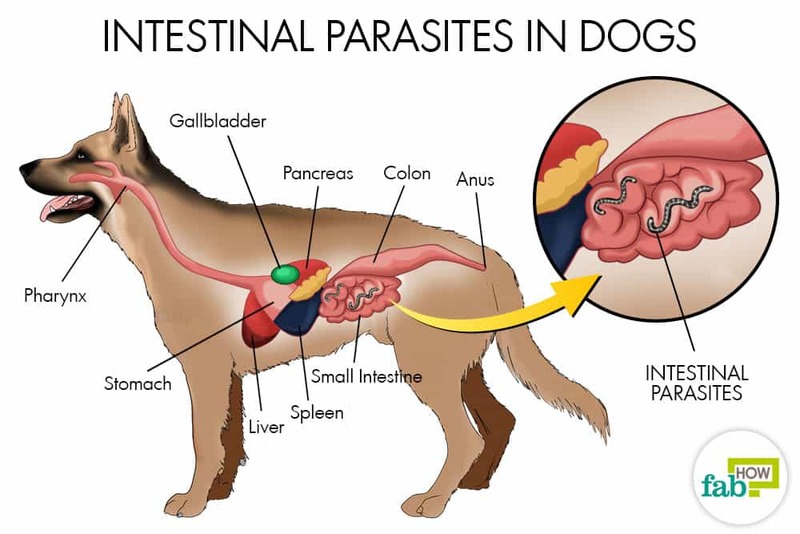 Another worm to watch out for is the heartworm, a thread-like type of parasitic roundworm that is spread by mosquitoes and resides in the heart or lungs of the host dog. Heartworm is difficult and expensive to treat and turns fatal if diagnosed at a late stage. Getting your dog’s blood tested regularly can help identify heartworm early. This particular condition is more serious and requires a vet’s care. Before you jump the gun and start planning to deworm your dog, here are few signs to look for that indicate a worm infestation. Some of these symptoms can indicate other health issues besides worms. It’s a good idea to collect a sample of your dog’s stool and get it tested by your vet, so you know whether you are dealing with worms or need further testing for other conditions. Getting your pet checked and dewormed by the vet is the ideal solution. However, there are a few home remedies that can help deworm your pooch naturally. Read on to learn three remedies you can use to get rid of worms in dogs. While you can consume as much garlic as you want, it should be given in moderation to dogs. High doses can turn toxic for your furry friend; however, when given in moderation, garlic can not only get rid of worms in your dog but also keep him free of fleas. Note: If your dog is showing signs of anemia or has any surgery lined up, do not give him garlic as it could lead to oxidative damage in their bloodstream. Also, puppies should not be fed garlic, as their body doesn’t start reproducing blood cells until 6 to 8 weeks of age. 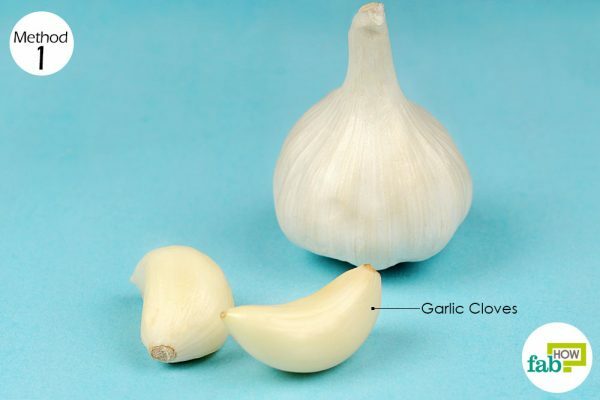 Follow the guide below on the garlic levels that are safe for dogs per day, based on the dog’s weight. You can grate the required amount of garlic and mix it with some fennel or feed it as is to your dog. Do it every day for 5 days to get rid of worms in dogs. 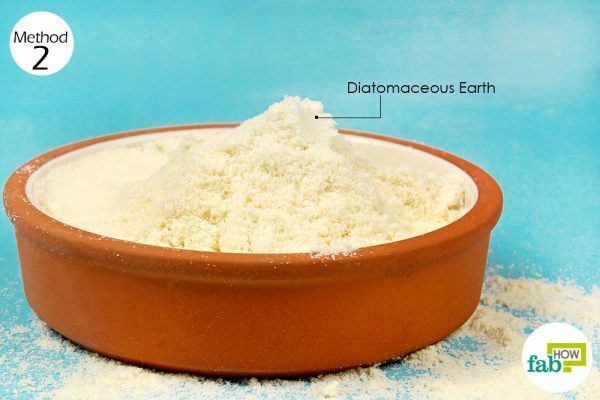 Food-grade diatomaceous earth (DE) is another effective remedy to get rid of worms and even fleas in pets. (2) DE is the microscopic remains of phytoplankton, known as diatoms that have razor-sharp edges that cut through the exoskeleton of insects and parasites on contact. This eventually leads to dehydration and death of the worms. DE is non-toxic and can be given to puppies as well. You can further use food–grade diatomaceous earth to effectively kill off ticks from your pet’s skin. Note: DE does not work on tapeworms. However, you can lightly sprinkle DE on your pet’s fur to kill fleas and prevent a tapeworm infestation. Follow the guide below for the quantity to be given to puppies and dogs per day, according to their weight. Mix the recommended amount into your dog’s food once every day for up to 2 weeks to effectively get rid of worms in dogs. 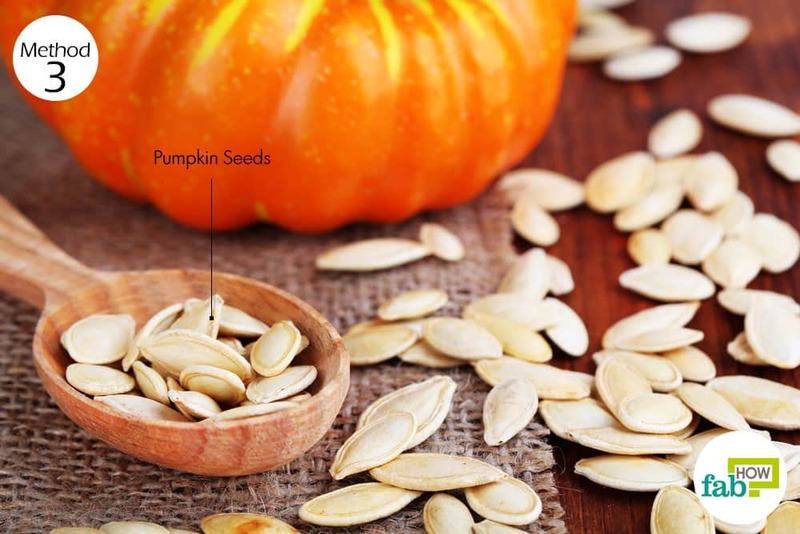 They contain a substance called cucurbitin that works on parasites by paralyzing them. The worms fail to hold onto the intestines and can be easily expelled from the body during a bowel movement. Note: Do not use the salted ones. Opt for the raw, organic variety only. You can either grind the seeds in a coffee grinder and mix it in your dog’s food or feed them whole as treats if your dog likes them. Give ½ teaspoon per 10 pounds of your dog’s weight. Feed the appropriate quantity once every day to rid your dog of worms in 2 weeks. 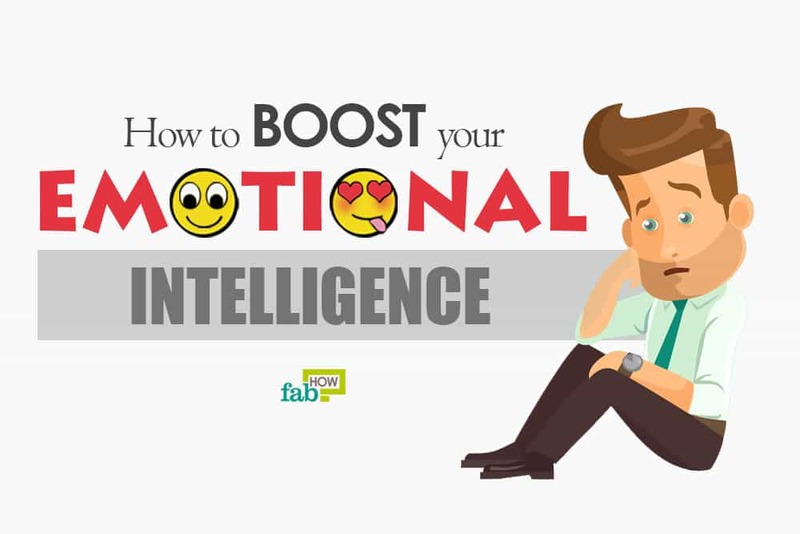 Worms are fond of milk, eggs, and foods that are rich in sugar and fat. Hence, do not give these to your dog when treating him for worms. To prevent heartworm, you can give your dog monthly doses of preventive medicine, such as Heartgard. Your dog must test negative for the infection before starting preventive medicine. Bennett DC, Yee A, Rhee Y-J, Cheng KM. Effect of diatomaceous earth on parasite load, egg production, and egg quality of free-range organic laying hens. Poultry science. https://www.ncbi.nlm.nih.gov/pubmed/21673156. Published July 2011. Díaz Obregón D, Lloja Lozano L, Carbajal Zúñiga V. Estudios preclínicos de cucurbita máxima (semilla de zapallo) un antiparasitario intestinal tradicional en zonas urbano rurales. Revista de gastroenterologia del Peru : organo oficial de la Sociedad de Gastroenterologia del Peru. https://www.ncbi.nlm.nih.gov/pubmed/15614300. Published 2004.